Tracking Your Hours + Prize Pack Announcement! We’re a week away from the start of the ‘thon and, during the last readathon, I suggested that you keep track of your hours because it might be worth your while. While many of you did just that, and got a pair of Out of Print socks as a reward, I realized after the fact that my instructions about tracking and the requirements for doing so were unclear and many of you lost out on the option to win a prize. While I won’t be doing another “everyone gets a prize” a la Oprah, if you finish the full 24 hours, you will be entered to win one of three fantastic prize packs (there’s even one for international readers). More about those in a minute, but first the rules. You’ll have 48 hours after the end of the readathon to submit this proof, after which the form will be closed. Questions? 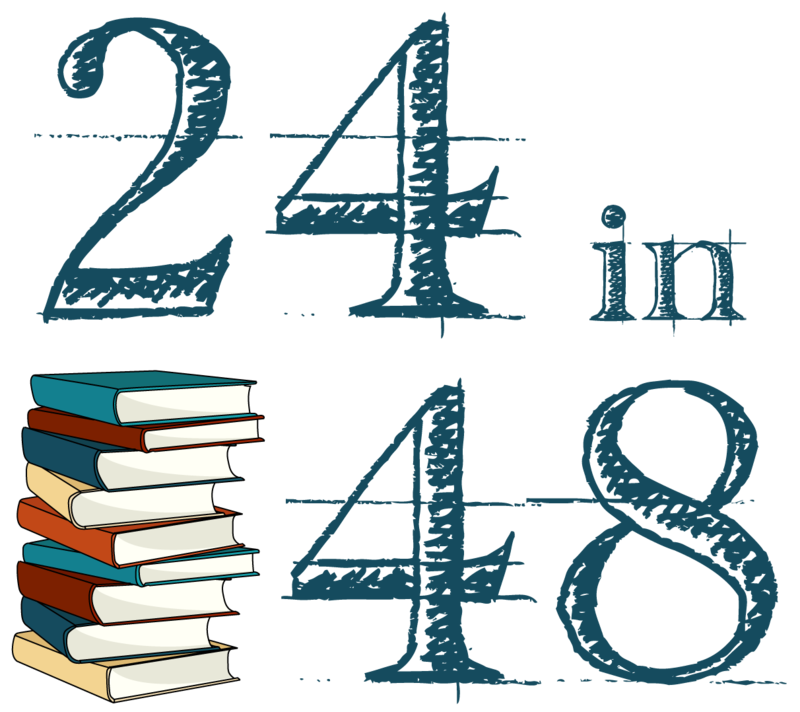 Leave a comment or send me an email at 24in48readathonofficial@gmail.com!